"The world’s best green journalist” (Time), Bill McKibben gave one of the earliest cautions about global warming with his 1989 book The End of Nature. His many other bestselling books about the environment include Deep Economy, Eaarth, and Oil and Honey; as well as a novel, Radio Free Vermont, which imagines a band of Vermont patriots who decide to secede from the United States. Recipient of the 2013 Gandhi Peace Award, McKibben is the Schumann Distinguished Scholar at Middlebury College and a fellow of the American Academy of Arts and Sciences. 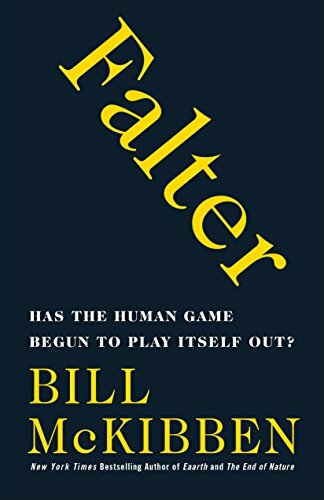 In Falter, he offers a dire warning about the shrinking space in which civilization can exist.